Well that’s not all that surprising. GTA V was scheduled for release on PC in just over two weeks, without any real screenshots, trailers or even system specs to show. So it’s not that hard to imagine that Rockstar need a little more time with the title, as they’ve now pushed it back a few months. GTA V will now finally grace PCs everywhere on March 24th (hopefully for real this time). Rockstar made the announcement via their newswire, while revealing what you’ll need to get the game running and some screenshots. The good news is that Online Heists will launch alongside the game, with consoles getting access to the consistently delayed feature in the weeks leading up to the PC launch. As for system specification, well they’re the lowest I’ve seen in a while (not counting the massive hard drive space required). GTA V did originally start its life as an old-gen game, so either Rockstar have worked extremely hard on optimisation or there aren’t that many PC-specific improvements. As a reference, the Nvidia 9800 GT was the the graphics card I had before upgrading nearly four years ago. It’s really, really old hardware, so most PCs should be up to scratch. 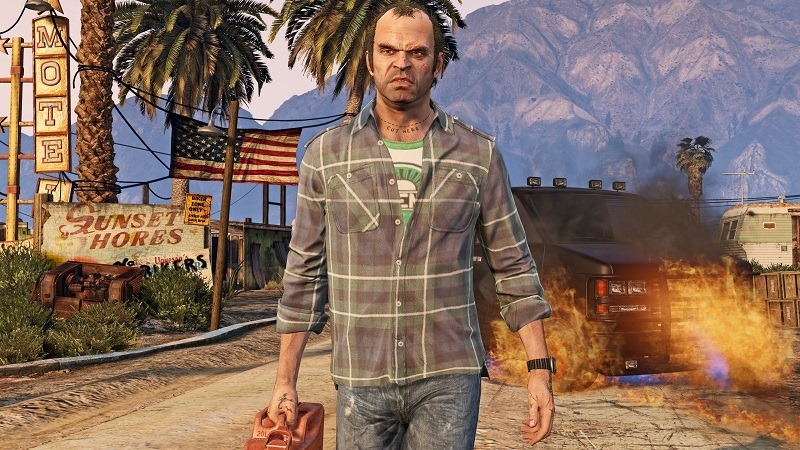 A little less excited for GTA V on PC now that it has been yanked away at the last minute? Or is that craving to return to Los Santos just too bad to ignore? Well, I know I don’t have to choose between this and Evolve now at least.